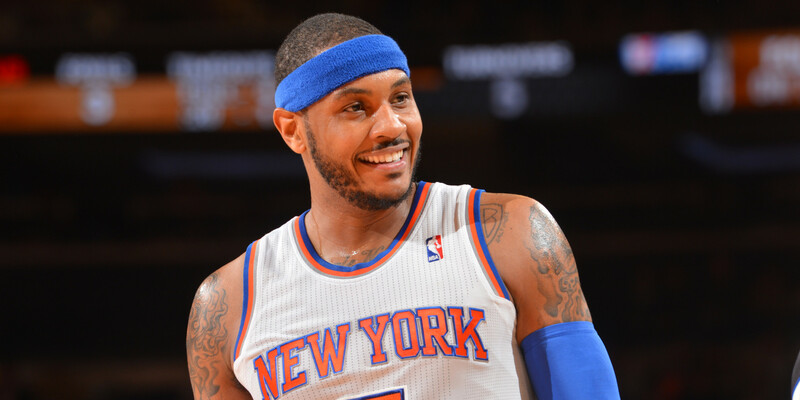 Carmelo had perhaps the best all-around season of his career, carrying the team almost every single night, scoring at will, improving on defense and in the passing game, rebounding at a terrific rate, shattering the franchise’s single-game scoring record. In the end, it was not enough, and Melo’s understandable frustration at his teammates’ inability to support him might cause him to bolt elsewhere when his contract expires this summer. Melo’s scoring averages and passing stats could have been even better if his teammates had been able to knock down shots consistently, although his rebound rate might have been a tad lower had other players crashed the boards with intensity. Carmelo is still not a good defender, but his marked improvement on that end of the floor this season made him competent enough that he is probably no longer a defensive liability, at least compared to certain other members of the team. If Carmelo stays with the Knicks, he must continue to improve as a playmaker and continue to show an increased level of effort on defense in order to reach the next level… although it’s hard to not be content with where he is already. Let the waiting game begin. Stoudemire was limited early in the year by a limits restriction, which made it hard for him to find his rhythm and to put up the gaudy per-game averages to which he was accustomed (keep this in mind when you view his per-game stats). He also found himself unable to guard anybody, and his rebounding was extremely poor. He looked like a washed-up, broken down shell of his former self. And then, a couple months into the season, Amar’e started to hit his stride. Before long, STAT, the rim-rocking, bulldozing big man New Yorkers had fallen in love with a couple months ago, had returned. While he’ll never be as dominant as he was in his first year with the Knicks, Stoudemire had become a legitimate second scoring option, a pretty good rebounder, and a nearly-competent defender by the end of the season. After plodding up and down the court early in the season, STAT started giving 100% every night once he got his legs under him, and it made a big difference. 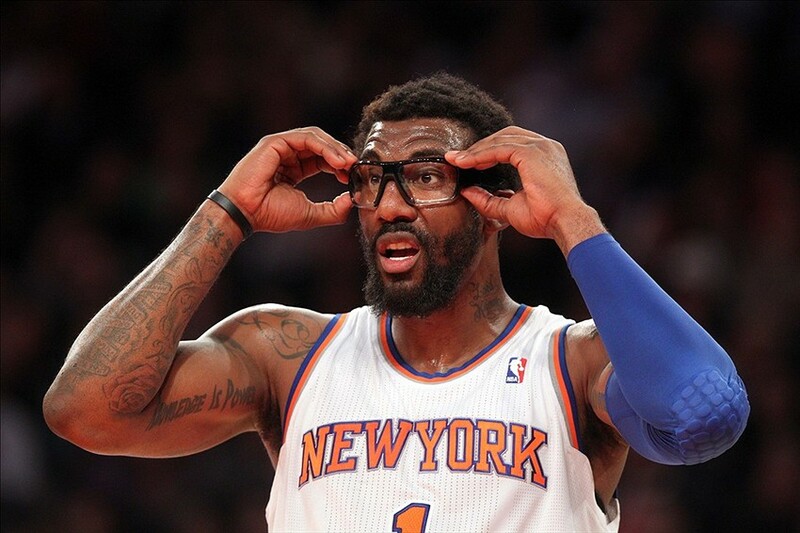 The medical staff’s coddling of Amar’e was frustrating at first, but it seems like it paid off in the end. If Stoudemire can stay on the court and keep adjusting to his new role as a secondary scorer, he should be in for good things next season. Et tu, Tyson? 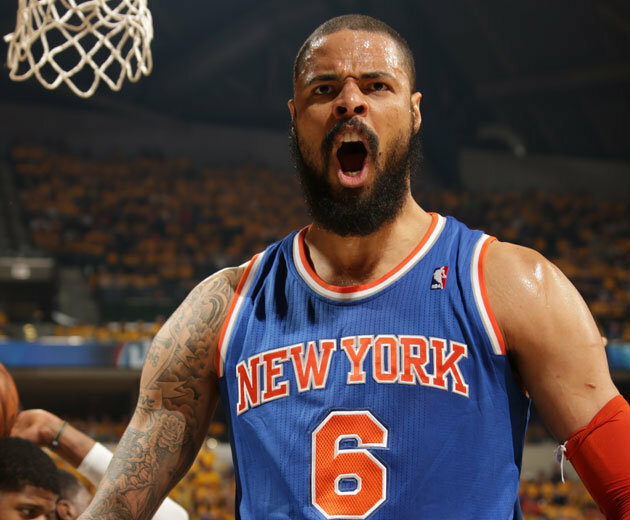 The Knicks could always count on Chandler to bring effort and skill on defense and the boards, anchoring the middle of the paint when nobody else was willing to do their part. That changed this season. The lazy, losing culture that clung to this year’s squad seemed to break Tyson, who was also quite literally “broken” early in the season when a collision with the Bobcats’ Kemba Walker fractured the big man’s leg. To be fair, this freak injury was probably a big reason for the fact that Chandler lost much of the spring in his step, as he had looked better than ever during the first 3 games of the year before going down on that fateful night against Charlotte. But when Chandler came back, he looked soft. This wasn’t just a matter of him losing speed or jumping ability; the former Defensive Player of the Year looked like he had both lost the will to run, the will to jump, and the will to win upon his return. Tyson had a few solid stretches despite his disappointing overall season, and his stats ended up being pretty good, so I’m not ready to declare the 31 year-old Chandler a victim of Father Time just yet. Tyson seemingly quit on his coach, as did many members of the team as the season wore on and the losses piled up. With Woodson out, Phil Jackson in, a new coach on the way, and an apparent culture shift coming at Madison Square Garden, I think there is hope for Tyson (and the team). But Chandler just didn’t “bring it” this year, and if the Knicks don’t move him during the offseason, Tyson will have to play much harder (and better) if he wants to help the Knicks redeem themselves. 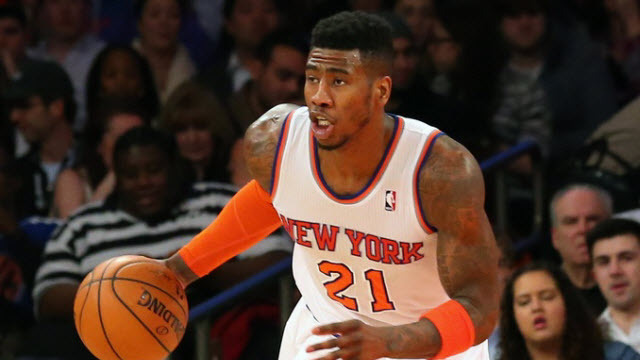 After coming on strong as his surgically repaired knee continued to gain strength down the stretch of the 2012-13 season, Shumpert was considered a prime candidate to take a big “leap” this year. That didn’t happen, as Iman struggled mightily for large portions of the season. Shump’s shooting touch, which had improved so much during the Knicks’ 54-win campaign, disappeared this season, and as many fans and some members of the organization started to turn on him, he began to turn on himself. Shumpert’s lack of confidence made things even worse, and before long, he had become completely invisible on offense. Shump woke up a bit in early January, with his performance against the Spurs in San Antonio sticking out as his most memorable game of the year, but he didn’t really get going until reports that Phil Jackson was coming aboard started to leak. Jackson, who is reportedly a big believer in Iman’s game, seemed to give the young guard a big confidence boost. Shumpert finished the season strong, leading to hope (but not necessarily confidence) that he can contribute offensively next year. Of course, offense isn’t Iman’s biggest strength, even when he IS hitting his shots. Shumpert is one of the best wing defenders in the league, and while he had occasional lapses, he was a very solid contributor on defense for much of the season, working to lock down opposing teams even when his teammates often served as the holes in Clyde Frazier’s beloved “Swiss Cheese” metaphor. Shump has to keep working on his shot this summer, and he can’t afford to let his mind get in the way of his game going forward. Shumpert’s performance this year was a letdown, but he still has a chance to become a key player for this team in the future. JR Smith’s eventful year began in the offseason. After winning the Sixth Man of the Year award in the 2012-2013 season, JR was rewarded with a nice contract extension in the summer. But shortly afterwards, Smith announced that he would undergo knee surgery, and before long, the league announced that the enigmatic shooting guard had been hit with a 5-game suspension for recreational drug use. Due to his injury and his foolishness, Smith was unable to prepare for the season effectively, missed the first few games of the year, and spent a couple months trying to find his rhythm from both a shooting and an athletic standpoint. And then, of course, there were the mental mistakes. Smith got into trouble with the league and his coach for threatening another in a tweet, blasting the organization on Instagram after his brother (whose spot on the roster was nothing short of Nepotism to begin with) was released, and untying opponents’ shoelaces on multiple occasions. 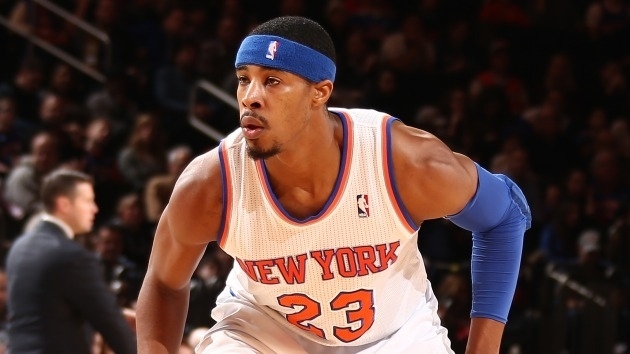 Smith’s season hit rock-bottom when Mike Woodson benched him during a winning streak, and reports surfaced that the team was fed up with Smith and ready to trade him. 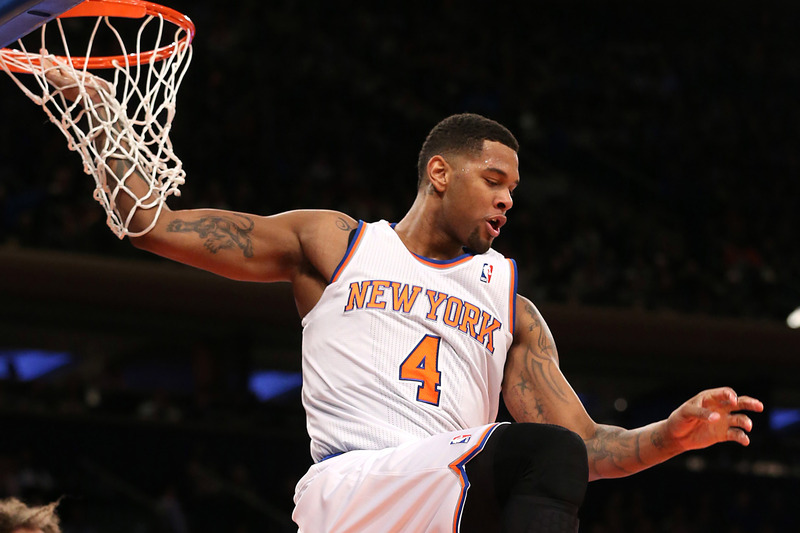 Smith bounced back well from his early-season problems (many of which he had brought upon himself) and had a very nice second half of the season, salvaging his statistics and his reputation amongst Knicks fans. Smith started hitting shots, playing defense, and even moving the ball. 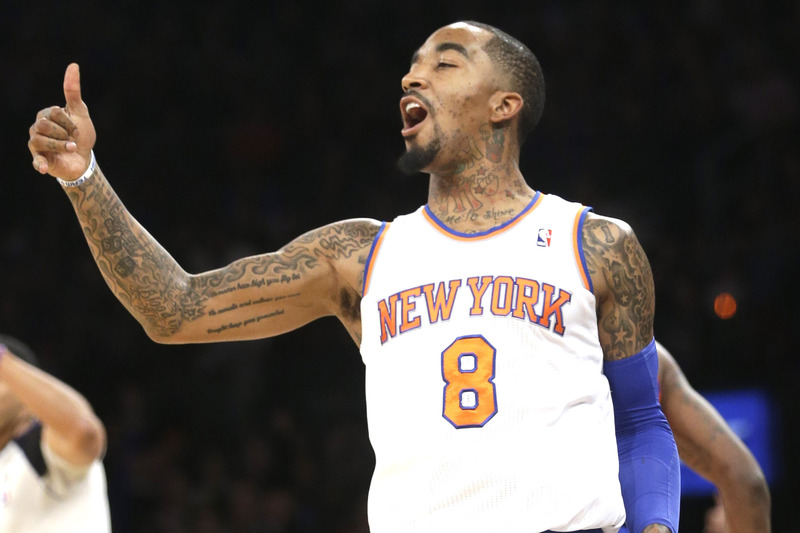 If JR had played as well all season as he did down the stretch, things would have been a lot different for the Knicks. However, that ship has sailed, and JR must focus on consistency and responsibility going forward if he wants to truly reach his potential. Felton had the worst year of his career, both on and off the court. Raymond was mediocre at best on offense and an absolute disaster on defense. He was arrested on weapons charges after he allegedly pointed a gun at his wife, who filed for divorce. He was caught yawning in an important huddle down the stretch of a close game, he was blasted about his conditioning, and by the end of the year, nearly every Knicks fan wanted him gone. Now, Raymond gets a D- instead of an F for a couple reasons. First of all, if you look at his stats, he was somewhat decent on offense. As for his defense, while there is no denying that he was completely incapable of guarding any of the league’s great (or even good, or decent) point guards, it’s not his fault that Mike Woodson usually ignored all signs of this and repeatedly stuck Felton on players like Kyrie Irving instead of letting Iman Shumpert take a crack at locking them down or turning to some form of a zone. Finally, Felton battled injuries during training camp and throughout the season, which is part of the reason why he looked so slow, especially early in the year. But there is no way around the fact that Felton’s performance this year was unacceptable. The Knicks are reportedly planning to trade their point guard, which I feel might be a mistake (as I mentioned in a post the other day). Felton can still bounce back, at least on the offensive end. 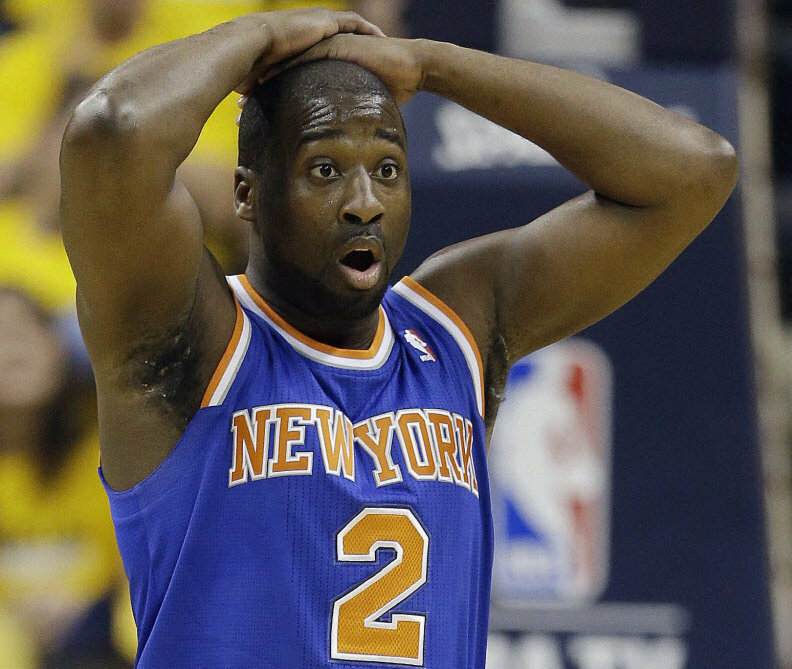 But in this day and age, the Knicks can’t afford to have a starting point guard who cannot stay in front of his counterpart, and as such, Felton’s days appear numbered. After Hardaway fell all the way to the Knicks at #24 in the draft, he became one of the lone bright spots at Madison Square Garden this season (the other bright spots being Carmelo Anthony and the New York Rangers). Timmy brought energy, athleticism, finishing ability, and a sweet shooting stroke. He made the Knicks fun to watch on occasion, which is pretty impressive considering how badly the team’s season went. But Hardaway took many bad shots (which hurt his shooting percentages), went through a few cold stretches where he couldn’t find the basket, and most importantly, played very weak defense. These are areas in which Timmy must improve going forward. 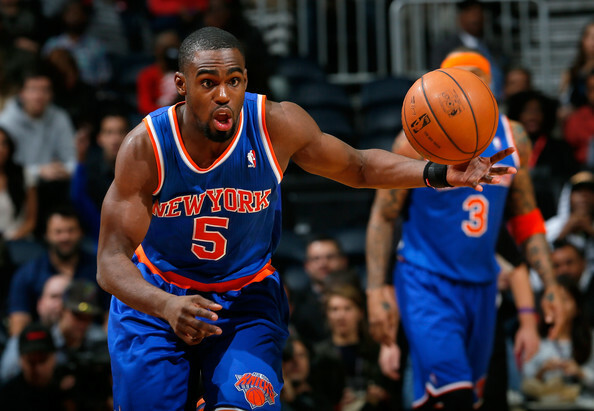 But overall, Hardaway was a pleasant surprise and has the potential to be an impact player in the league going forward. Pablo had a nice season as he continued to wreak havoc his pesky, scrappy, energetic style of play whenever he was on the court. He is the team’s best passer, hardest worker, and, from a fan’s perspective, probably the most lovable guy on the roster (seriously, how can you dislike Pablo???). He also made a tremendous amount of improvement as a shooter, finishing the year with a team-high 46% clip from beyond the arc. Pablo can be frustrating at times, as his determination to move the ball occasionally leads him to neglect to take wide-open shots, or to force passes into traffic. On defense, while his effort level is unparalleled, he is generally unable to stay in front of the league’s quicker point guards. Prigioni isn’t a star, but he is a solid role player, a capable floor general, and an excellent example for his teammates. 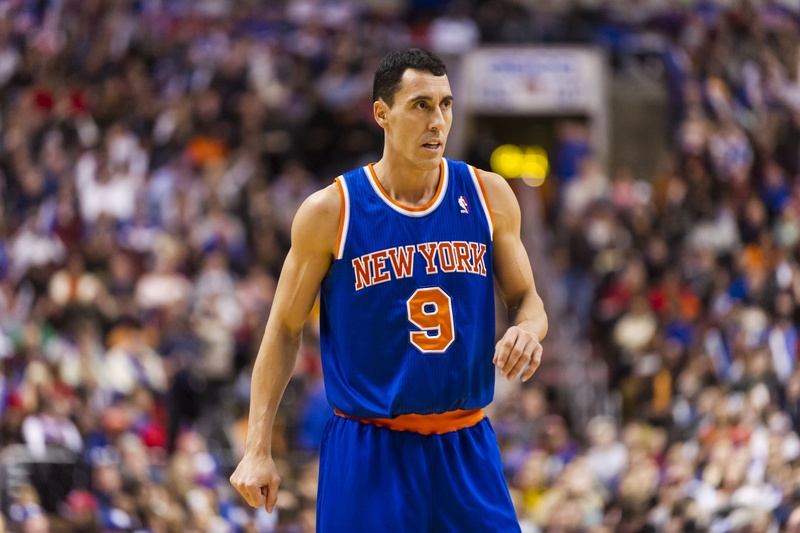 Let’s hope that Pablo’s body can continue to hold up and allow him to continue doing all the things that make Pablo Prigioni, without a doubt, The Most Interesting Man in the World. Bargs, Bargs, Bargs. What do we say about Bargs? Well we can start by saying that he was responsible for the loss of fan favorite and sharpshooter Steve Novak, as well as the loss of our 2016 first-round pick (a trade asset and potentially a valuable player) and the ability to trade our 2017 pick (teams cannot trade their first-round picks in consecutive years). This is why the Knicks were so unwilling to part with their 2018 pick in a trade that could have netted them Kyle Lowry, and why the Knicks don’t have as much firepower as they would like in trade negotiations to bring in significant players. And, obviously, we won’t be able to add a young player in the first round in 2016, unless we trade for a pick… Anyway, enough about the trade, let’s talk about the player. Bargnani was brought in to be Carmelo Anthony’s second scorer and to space the floor for Melo by drawing opposing big men out of the paint. This didn’t happen, because opposing big men quickly realized that they could leave Bargnani open from deep and get away with it most of the time. 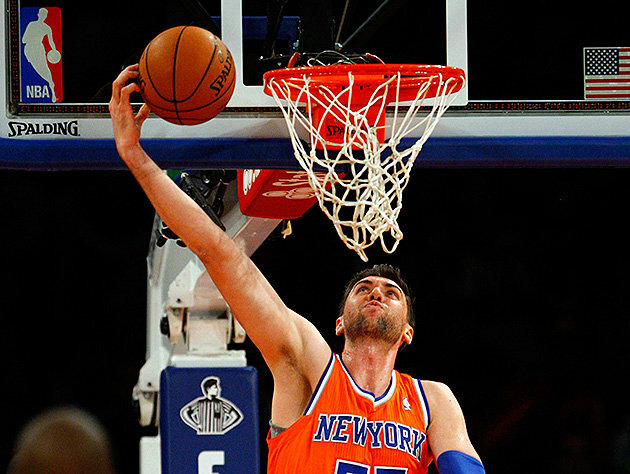 Bargnani’s team defense was miserable, and he was clumsy with the ball. Even when he did things right, they looked incredibly awkward. His man-to-man defense was better than expected, leading to a couple memorable games such as his lockdown of Dwight Howard, but unless he was bodying up his man and they were both in the post, he was a nightmare on that end. Bargs was pretty good at knocking down the mid-range jumper, and his post presence was something the Knicks needed while Amar’e Stoudemire struggled early in the year, but he is no longer the long-range shooter he once was, and he seemed to always make things go wrong when he was on the floor. When Bargnani went down in comical fashion on a miserably failed dunk attempt in January, many Knicks fans felt more relief than concern. Bargnani was the team’s leader in blocks per game, is pretty good on defense when he is just a few feet away from the hoop, and is a better scorer than most players on the team, but he isn’t the player he once was, and the Knicks might look to move his expiring contract over the summer. Andrea could have a bounce-back season under a new coach in a new offensive system, but don’t hold your breath. K-Mart came into the season hurt, played hurt for a couple months, then gave up and traded his uniform for a suit for the rest of the season. When he was on the floor, he was a tough presence down low, a tenacious rebounder and defender, and, somehow, a decent facilitator when he looked to pass the ball. But he just couldn’t stay on the court, and had very few moments where he didn’t look hobbled. If K-Mart elects to come back to the NBA for another year and the Knicks keep him around, he could have a solid season after a summer (well, really an entire year) of rest. He’ll never be the player he was back in his days with the Nets, but he can bring the veteran leadership the Knicks sorely missed while he was gone, and he’s still one of the best defenders on the team. 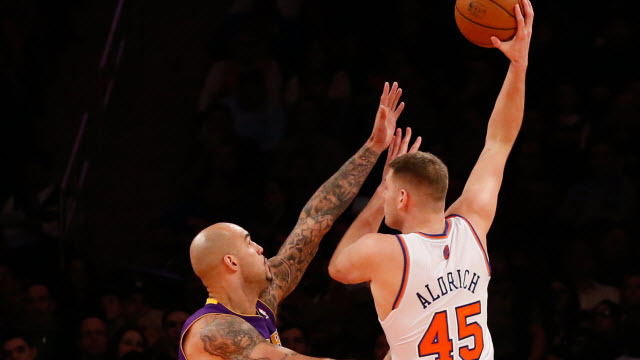 Tyler, like Aldrich, is another young, high-motor big man who looked pretty impressive in limited playing time. Tyler is solid at the defensive end, but looks very raw on offense, although he has more potential in that area than Aldrich. Jeremy spent the first half of the season rehabbing while Chris Smith took his roster spot, but was signed in January and looked good enough to earn a spot on the team next year. 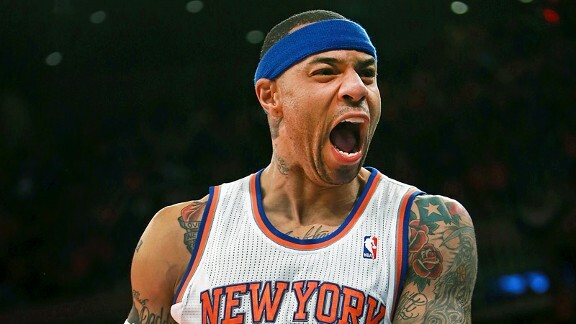 Let’s see if the Knicks bring him back. Murry isn’t much of a shooter, and his 3pt% is quite misleading. But he is a fantastic defender with good size, and if Woodson had let Murry play more, opposing point guards would have had a MUCH more difficult time with the rookie than they did with Raymond Felton. On offense, Murry made a few nice plays and showed decent finishing ability, but his ceiling is probably that of a backup point guard (or, if he can get his jumper down, a point guard version of Thabo Sefolosha). If the Knicks bring Murry back, it will be interesting to see how he does in what is likely to be a slightly increased role. For all the talk about Woodson to this point, no player was more disliked by the coach than Beno Udrih, who was buried on the bench and then made into a scapegoat before being granted his release, latching on with the Grizzlies, and impressing in the playoffs. 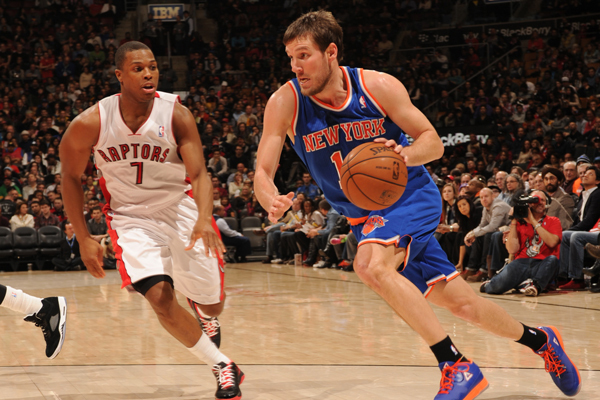 The Knicks needed a point guard who could consistently play at a competent level, but inexplicably ignored Beno Udrih. When he was on the floor, Beno looked pretty good. He did what he could with the very limited opportunity he received, before moving on in a move that was probably best for both parties. 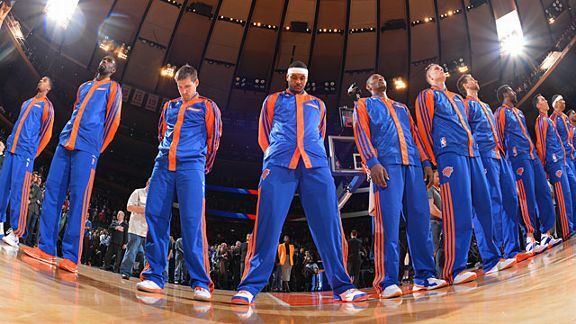 Team Stats: 37 W, 45 L, 9th in Eastern Conference, Did Not Qualify for Playoffs. 20th Best Offense, 8th Best Defense (PPG). Was Jason Kidd calling the plays last season? Were Rasheed Wallace and Kurt Thomas holding things down in the locker room? 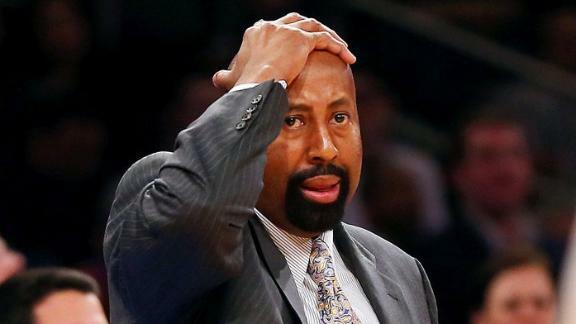 We can’t rule that out, because Mike Woodson had zero control over the team this year. Many players on the team quit on Woody, who made several baffling in-game decisions, senseless defensive assignments, predictably predictable offensive play-calls, and showed an impressive level of stubbornness when it came to managing his rotation. He continually said he wasn’t going to make excuses, then made laughable excuses (the Bargnani one was my favorite). How did he avoid an F? Simple. He didn’t miss a shot all season. The team won 54 games last year. For all his faults, you can only blame so much on a coach, and while Woodson made the least of what he was given and completely lost the clubhouse, the players must be held at least partially accountable (his favorite word) for the debacle that was the 2013-14 Knicks season. Still, Woodson had no business coaching this team, and he should have been fired long before Phil Jackson dropped the hammer on Woody and his entire coaching staff on April 21. 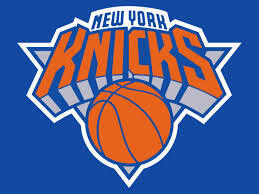 The Knicks came into this season coming off of a great year with a talented roster and high expectations. They stumbled out of the gate, and ran out of time despite a strong finish as they failed to make the playoffs. Injuries took their toll, and the Knicks had some bad luck, but they had no business finishing 9th in the East this season. It’s completely unacceptable. With Phil in town, and changes on the way, it’s time to look forward to the offseason and hope that the Knicks can get some much-needed redemption next season. *note: Players who played fewer than 200 minutes (Metta World Peace, Shannon Brown, Earl Clark, Chris Smith, Lamar Odom) did not receive grades. This entry was posted in Articles and tagged amar'e stoudemire, Carmelo Anthony, iman shumpert, jeremy tyler, JR Smith, Kenyon Martin, knick grades, KNICKS, knicks articles, knicks blog, knicks fans, KNICKS MEMES, Knicks news, knicks recap, knicks report cards, knicks rumors, knicks stats, mike woodson, Tommy Rothman, tommy rothman knicks, tommy rothman knicks memes on May 19, 2014 by Tommy Rothman.